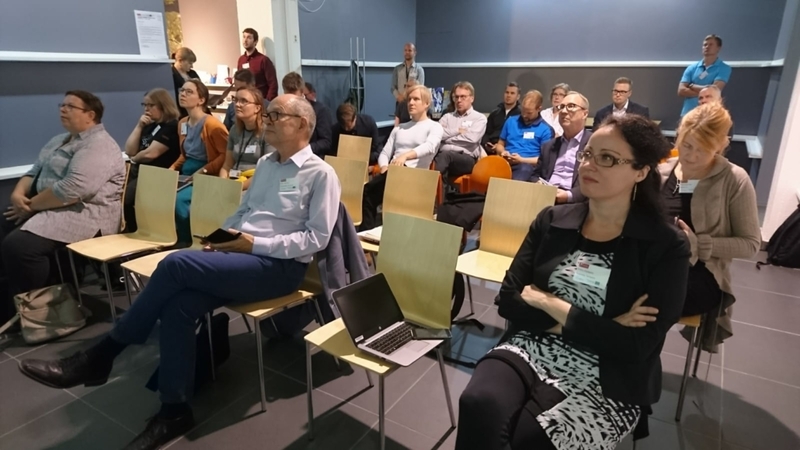 At the core of AREA 21 is not only the technical dimension of energy efficiency, but also the question how improved stakeholder cooperation and cooperative approaches to energy planning contribute to increased efficiency. Against this background the seven pilot regions of the project develop so-called “Energy Improvement Districts” (EID). This district model serves as catalyst for intensified cooperation and stronger local stakeholder networks. To establish these new cooperation patterns, every pilot region will organize a workshop series that accompanies the EID development process. In every pilot region, the first workshop of the series is dedicated to the definition of concrete goals for the further EID development. 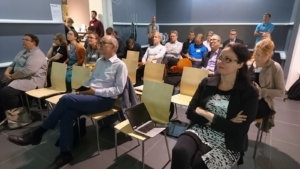 In our partner city Tampere (Finland), the first local workshop was held in September 2018 and gathered different stakeholders affected by or involved in planning and implementation of energy efficiency actions. 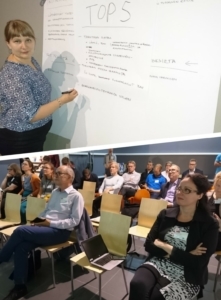 27 participants joined the workshop and they were divided in four stakeholder groups: authorities, research institutes, companies and building owners. During the event, the participants tried to find cooperation possibilities and concrete goals for the reduction of carbon emissions resulting from the city’s building stock. The most popular idea discussed among the participants was to cooperatively develop a database of buildings. The database would gather, structure and link information of different categories, such as the need for renovation, energy consumption and examples of renovations made in the buildings. This new application could then support the decision-making of building owners when planning renovations, as well as companies when designing services and research institutes when gathering data for research. Another popular idea for cooperation that came up was to develop services for housing companies that would encourage them to invest in energy efficiency, as well as developing a long-term cooperation and projects between stakeholders for achieving a reduction of carbon emissions. As next step, the City of Tampere will aggregate the findings of the workshop in the form of concrete goals that are agreed upon by all stakeholders and that shall be achieved through the local EID cooperation process. Further workshops in 2019 will then focus on the development of a strategy how to achieve these goals and will ultimately result into an EID action plan. 2. November 2018 /by Galya V.